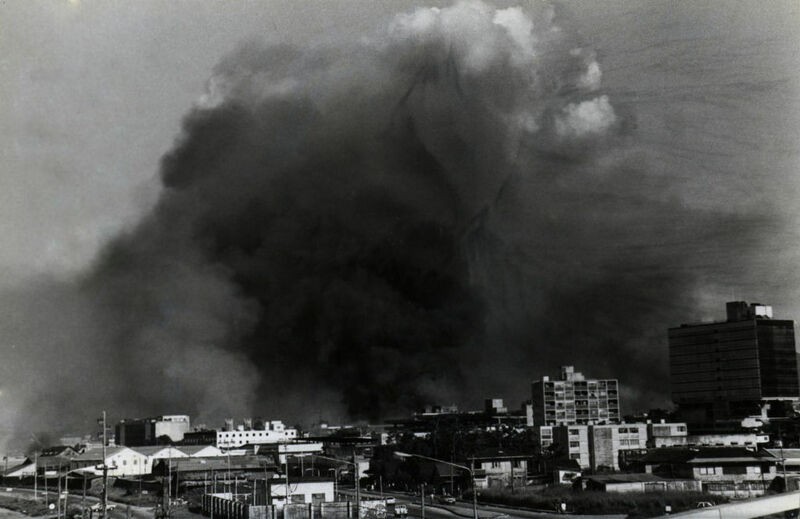 Port of Spain under Thick Smoke on July 27, 1990. The Remember When Institute of the Ministry of the Arts and Multiculturalism, in keeping with its mandate to preserve and promote our nation’s unique tangible and intangible heritage, proudly offers a new virtual exhibition: The 1990 Coup: A Retrospective. This ground-breaking presentation takes the form of an interactive multimedia webpage which recounts the various happenings, during one of the most notable events in our country’s history. It is hoped this presentation engages audiences and encourages deeper reflection. Its elements are divided into four key components: Remembering the many that died or were severely injured during the Coup; Honoring those individuals who survived to share their incredible story; Celebrating the many whose efforts contributed to protecting our democracy; and Affirming that we will stand bravely in the face of adversity and protect one another and our nationhood. Additionally, the virtual presentation seeks to solemnly pay due respect to our history, simultaneously enlightening those who were too young to know much about the event, while reminding us all of the great responsibility of freedom and peace. Though focused predominantly on the six day siege, information is provided on what led up to the event, and the years immediately preceding. This presentation is pertinent to all Trinbagonians, as it both reflects a component of our past, and highlights our shared humanity. It includes various evocative photographs taken during the days of the incident, and audio-visual records of the happenings. This information was collated from data received from various sources, including the Commission of Enquiry (COE) Report, UWI Heritage Library, Express Media House, The Guardian Newspaper, and the National Archives and is available to the public on the Culture Division’s webpage from Monday July 27th at www.culture.gov.tt/rememberwheninstitute. It is hoped that this interactive presentation will inspire all who see it to both feel, and learn, from the happenings of our past so that we won’t be doomed to repeat it.